Inspiring Bradford was launched today at Beckfoot Heaton Primary School and Nursery. The initiative is designed to raise and broaden the aspirations of young people in Bradford and provide them with a better understanding of the job opportunities and career routes that are open to them. The intention is that the initiative will form a blueprint for other parts of the country. The week of high-profile events in primary and secondary schools is running from the 13th to 19th October and each day has a different theme: business and economy, diversity, women in science, the arts and career routes such as apprenticeships and university. Today’s launch event involved six volunteers taking part in a Primary Futures ‘What’s my line’ where children try and work out their jobs, helping to challenge stereotypes young children often have based on gender and ethnicity. Over 60 people from business and the economy sector will then go into classrooms and chat in small groups to children. Launched at the beginning of the event was a three-minute film about the primary schools featuring Andreas Schleicher, Director for Education and Skills, OECD. Watch the new Primary Futures video here. The initiative has been developed by a range of partners working closely with both primary and secondary schools across the district. 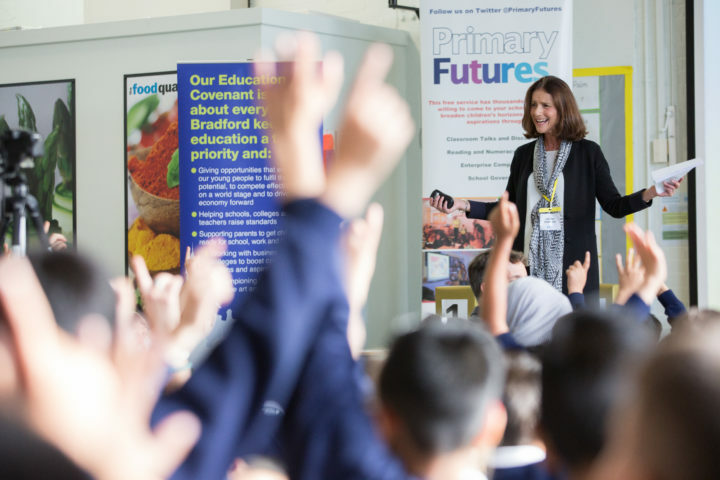 These include Bradford Council, University of Bradford, the National Science and Media Museum, the National Association of Head Teachers and the charity Education and Employers which runs Inspiring the Future and Primary Futures. Andreas Schleicher, Director for Education and Skills, OECD said: “The OECD’s international work consistently shows that young children are full of enthusiasm for learning, but as they get older, too often they struggle to see the point of what they are learning and how it relates to their future and a result their educational attainment drops. This is particularly a concern for children from disadvantaged backgrounds who lack successful role models from the world of work. Schools have often found it difficult and time-consuming to find the volunteers they want to engage with children and young people. 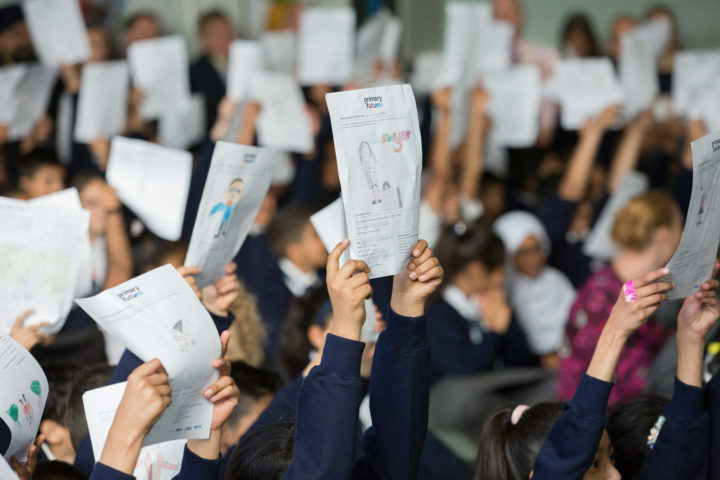 The week of inspirational events in schools also aims to get more people volunteering and more schools inviting volunteers via the free national Inspiring the Future service which connects schools and volunteers. 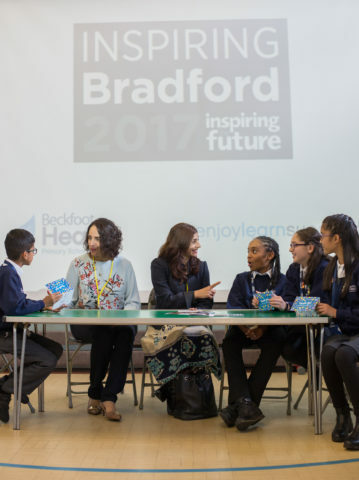 It is hoped that by the end the week that number of volunteers available to schools in Bradford will rise to over 500 – people who are willing to come into schools and perhaps take part in career speed networking, chat to students, provide feedback on a CV, give a mock interview, or consider becoming a governor. Nick Chambers, Chief Executive of the charity Education and Employers, said: “If we’re serious about improving social mobility, the issue must be addressed at primary level. 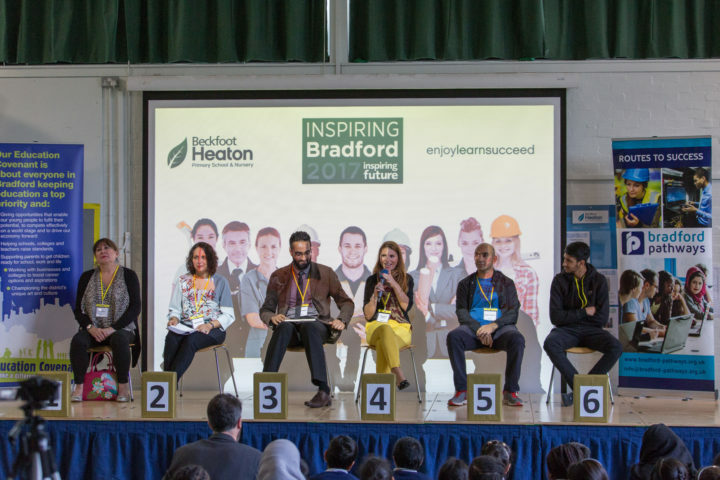 Inspiring Bradford is a national first – a truly collaborative effort to get volunteers into both primary and secondary schools and we hope that many other areas of the country will use this as a way of inspiring their young people. To stay up to date with the events as they happen, follow us on twitter @inspiringTF.